“Video games are bad for you.” If you’re a gamer, chances are you’ve heard that same old song and dance over and over again. A taste for violence, a lack of empathy, stunted social skills — the list of awful things that critics claim stem from video games are lengthy. When it comes to relationships, there’s the cliché that’s most often trotted out: one half of a couple is so into gaming that they neglect the other. Of course, there’s a reason clichés become clichés in the first place — they usually turn out to be true. One recent study conducted by Brigham Young University researchers, however, found something surprising: it usually happens only in couples where only one person is a gamer. In couples where both partners played, 76% of the people interviewed reported that gaming was actually good for their marriage. 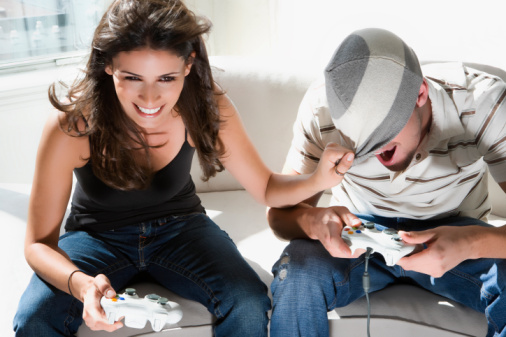 The study found that for those who play the same game together, simply interacting with each other’s avatars leads to higher marital satisfaction. This makes playing online multiplayer games — ranging from something as simple as playing SpinGenie’s social game Slingo or popular Game of Thrones title together to raiding high-level end-game content on Blizzard’s massive World of Warcraft — among the best leisure activities a couple can do together. The next time you’re hankering for a fun activity to ignite a little spark in your relationship; think about jumping into a virtual world together with your partner. You never know, it might do the trick. Just make sure not to get addicted! This read has affiliate links. Thanks for spending some time with us. Keep gaming and loving ! !